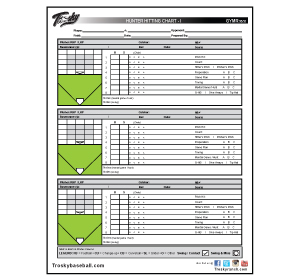 Track each at-bat with Trosky Hitting Charts. 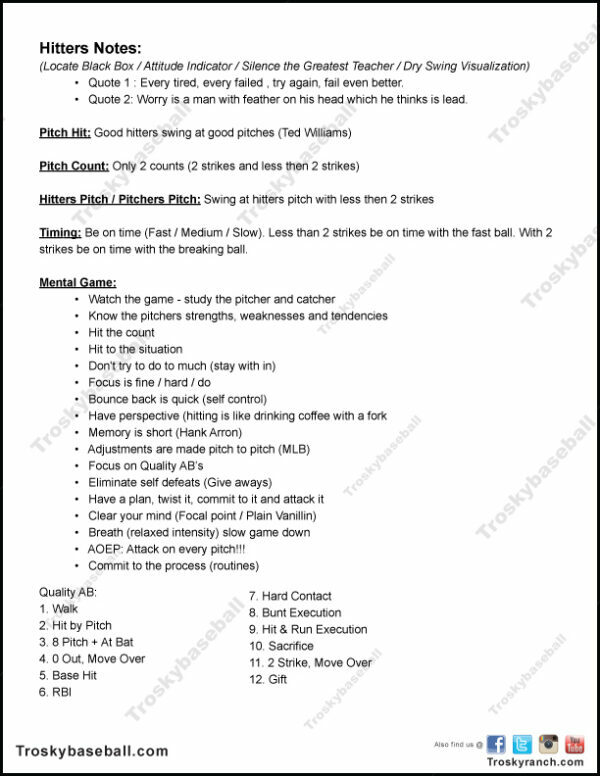 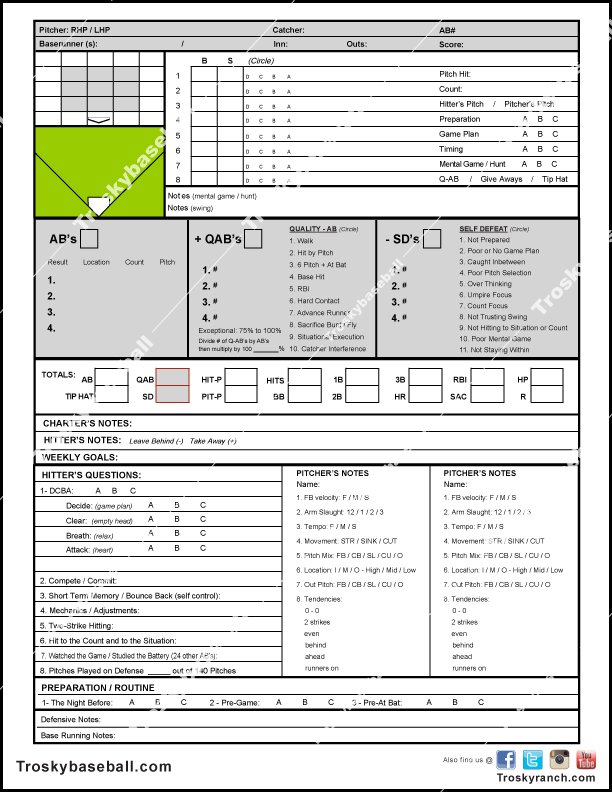 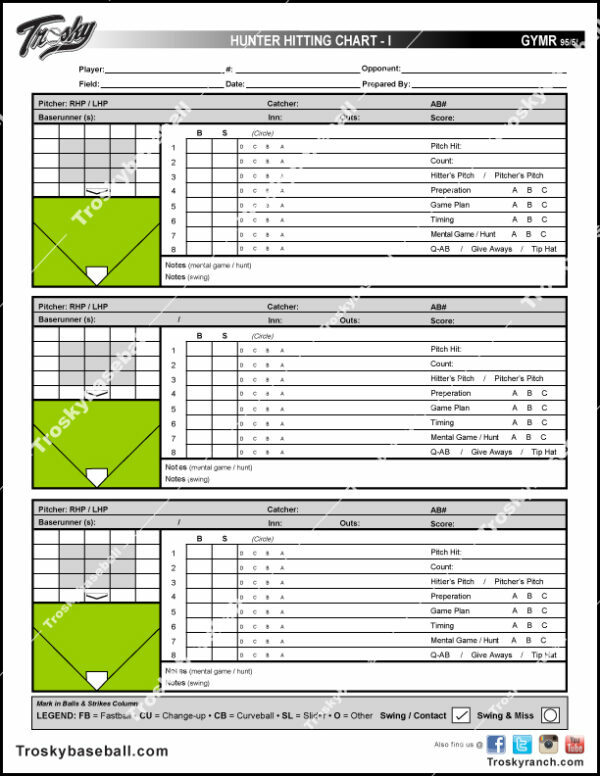 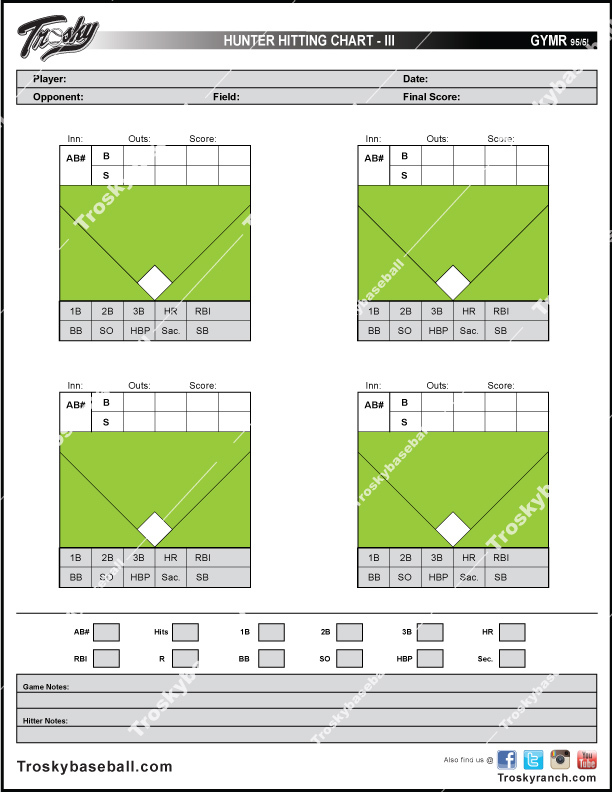 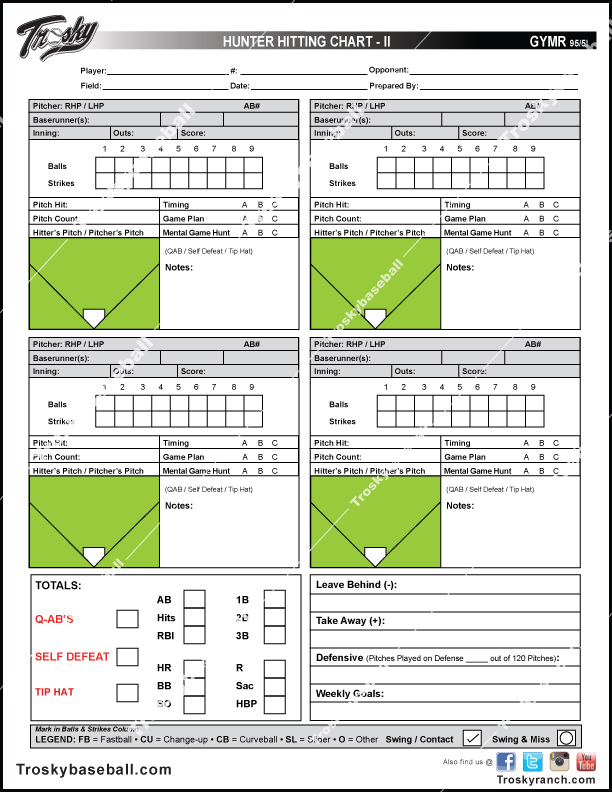 These charts will enable hitters to consistently review at-bats and develop a hitting plan. Finish: Matte finish has less glare, for a smoother appearance and more contrast.